I've been eyeing this for a while, but I always felt that perhaps I was a bit too old to pull them off. 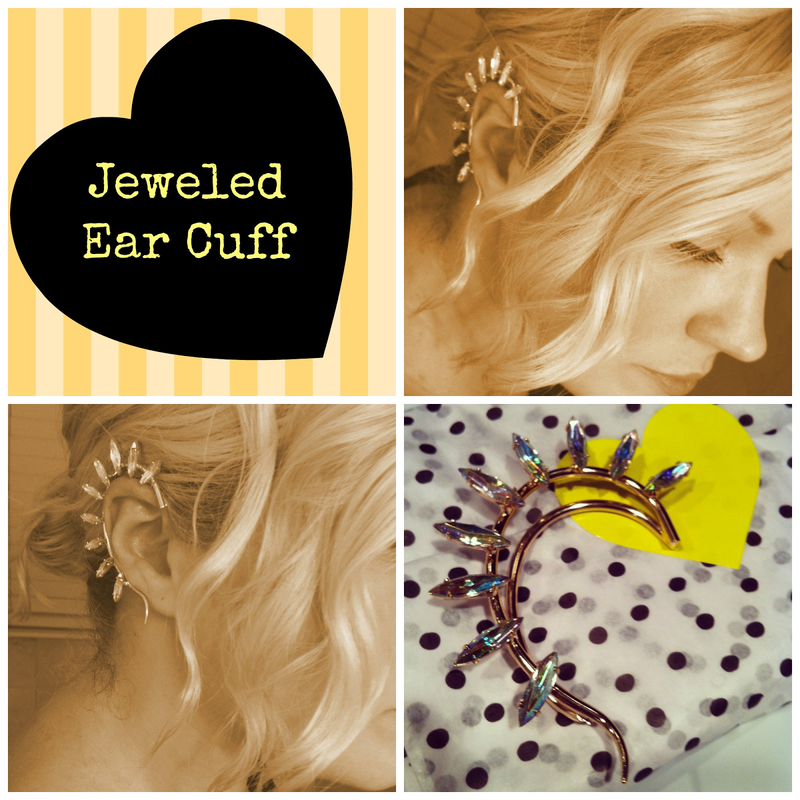 So when I recently attended LuckyFabb and saw the gorgeous Amber Venz of Reward Style wearing the most STUNNING jeweled ear cuff, I knew it was time I got my own! I began shopping around for the perfect jeweled ear cuff... and while the one I really wanted was sold out, I found this BCBG Jeweled Ear Cuff that was equally pretty and fun! I simply could not wait to put this beauty on! So when it arrived in the mail, I promptly began to play with hairstyles that would easily showcase this stunner. I'm seriously in love with this look... it's edgy, yes, but fun, glamorous even.. and totally wearable! Trust me! Best part, this baby cost $14 at BCBG Generation online with FREE SHIPPING! Check it out! Check out some other fun options here, here and here!